Doomsday Engine for Mac allows you to play the classic first-person shooters DOOM, Heretic, and Hexen using modern technology, with hardware accelerated 3D graphics, surround sound and much more on Mac. 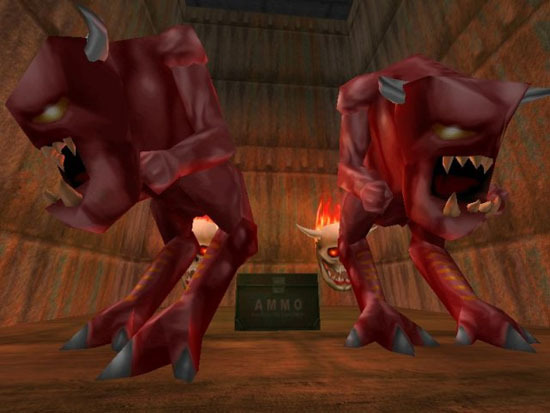 Doomsday Engine uses a modular structure to separate game logic from the renderer, sound, network and other such subsystems. The currently available ones are called jDoom, jHeretic and jHexen, and are ports of DOOM, Heretic and Hexen respectively. * 3D models: Quake's MD2 format and Doomsday's DMD format with LOD support. * High-resolution textures (PNG, TGA, PCX) and detail textures. * Smooth movement of objects, world structures and the camera. The original games were limited to the maximum framerate of 35 FPS. * Colored, dynamic lighting for world surfaces, 3D models, sprites and particles. * Map lighting emulates the effects of radiosity for a more natual appearance (FakeRadio: shadows in corners). * Particle generators for special effects. * Decoration effects on world surfaces: light sources and particle generators. * Lens flares and glowing objects. * Support for skyboxes and 3D sky models. * 3D positional audio for sound effects (not supported by all audio plugins). * EAX and A3D environmental sound processing effects. * 16-player client/server networking via TCP/IP with Multiplayer menu for game setup. Qweas is providing links to Doomsday Engine for Mac 1.8.6 as a courtesy, and makes no representations regarding Doomsday Engine for Mac or any other applications or any information related thereto. Any questions, complaints or claims regarding this application Doomsday Engine for Mac 1.8.6 must be directed to the appropriate software vendor. You may click the publisher link of Doomsday Engine for Mac on the top of this page to get more details about the vendor.